'Cultured'. A series of conference style identity badges. 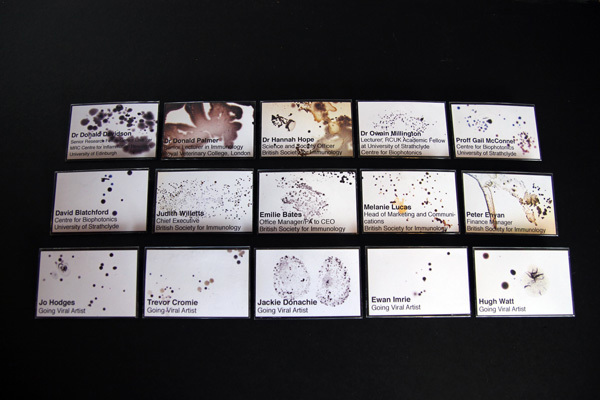 Each badge consists of a photo of five day old bacterial culture from the hand of an artist or scientist involved with 'Going Viral'. Shown at Glasgow Science Centre Sept 2012. Commission British Society for Immunology.